New mapping for the Programmed Fuel Injection (PGM-FI) system improves power delivery and throttle response, and increases fuel economy for greater range. New front and rear suspension systems feature an increase in travel for a plush and controlled ride. 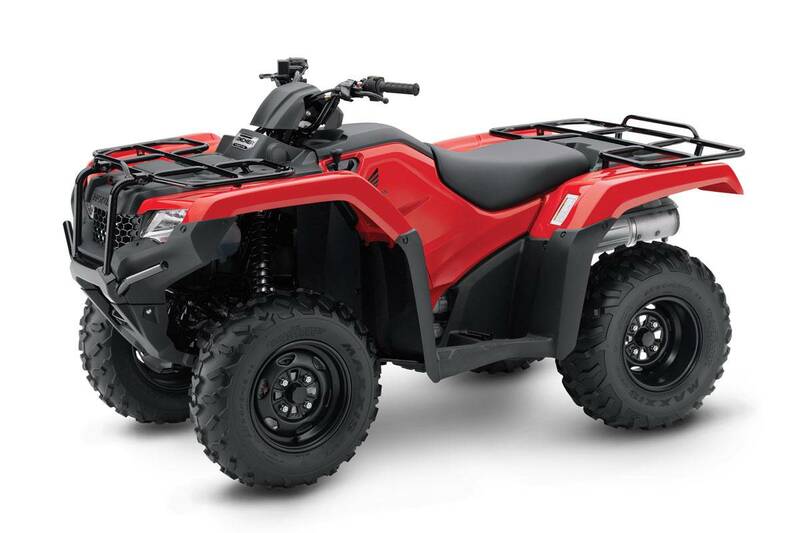 Rugged OHV liquid-cooled, fuel-injected 420cc longitudinally mounted engine allows direct driveshaft alignment to both front and rear wheels for maximum drivetrain efficiency. Overhead-valve design provides compact engine dimensions for excellent ground clearance while maintaining a broad, easy-to-use powerband. New, aggressively styled bodywork also provides better mud and water protection. The TRX420TM1 is two-wheel drive. Honda's TRX420TM1 is formerly the TRX420TM.